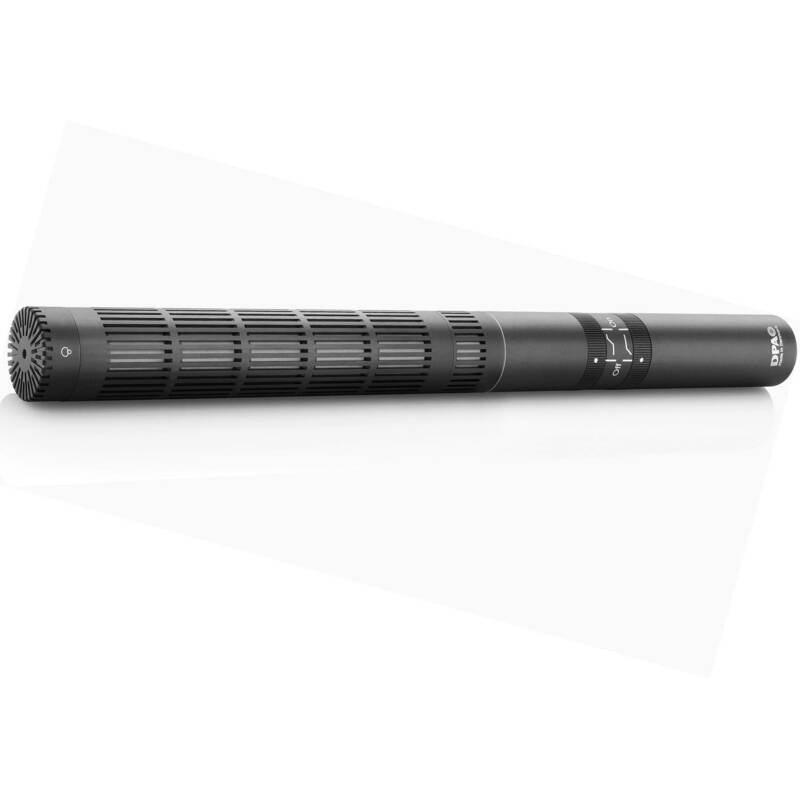 The 4017B Shotgun Microphone from DPA is a professional, versatile microphone designed for demanding sound capturing in film, video, sound reinforcement and even music recording. The supercardioid, lobe-shaped polar pattern is coupled with excellent off-axis signal rejection for a focused pickup, enhanced range and minimal noise. The condenser capsule uses a high voltage pre-polarized back plate, endowing the shotgun with high output as well as wide dynamics, extremely low noise and distortion specifications. The 4017B's frequency response, dynamic range, and signal-to-noise ratio result in pristine, transparent signal reproduction. Two onboard filters eliminate noise and artifacts with a 4dB shelf at 8kHz and a first-order bass roll-off below 120Hz. The short, lightweight profile of the 4017B make it a suitable choice for both indoor and outdoor production with boompoles, handheld shock-mounts, etc. The 4017B's frequency response, dynamic range, and signal-to-noise ratio result in pristine, transparent signal reproduction. The supercardioid, lobe-shaped polar pattern is coupled with excellent off-axis signal rejection for a focused pickup, enhanced range and minimal noise, etc. The short, lightweight profile of the 4017B make it a suitable choice for both indoor and outdoor production with boompoles, handheld shock-mounts, etc. 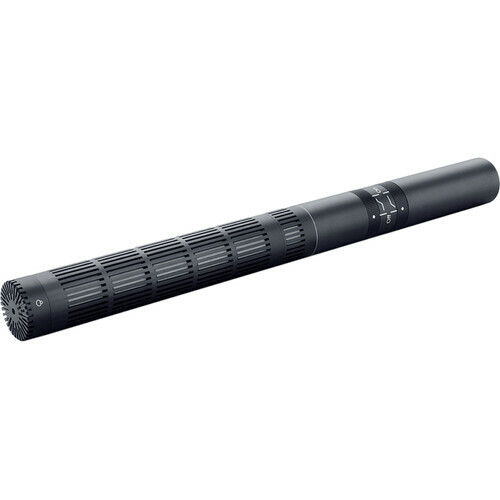 Box Dimensions (LxWxH) 10.7 x 6.2 x 2.8"
4017B Shotgun Microphone is rated 4.0 out of 5 by 1. I hope you have a promotion of DPA4017C with cinela pianissimo, will you have it?